Jakarta- Indonesia is committed to accelerating negotiations of the Regional Comprehensive Economic Partnership (RCEP), the Jakarta Post quoted Indonesian Trade Minister Enggartiasto Lukita as saying. He said the RCEP is Indonesia’s priority, adding that the country aims to complete the talks in 2018. Enggartiasto on January 22 met with the Indian Minister of Commerce and Industry in New Delhi to push talks on the RCEP. Indonesian President Joko Widodo also expressed his determination at the 31st ASEAN Summit in Manila, the Philippines in November 2017. 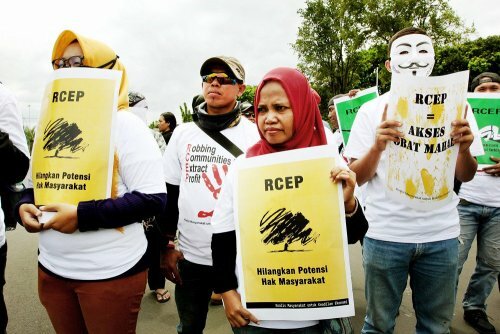 Once ratified, the RCEP would represent 28.5 percent of global trade and 31.6 percent of gross world product. It is a trade pact between 10 ASEAN countries and their six partners of Australia, China, India, Japan, the Republic of Korea and New Zealand.